So excited that Carsyn finally got his gait trainer, which is called Mustang. It will take a while for him to get used to it. Right now he just stands there, but we will work on it. I have a month and 10 days till Halloween to get him walking. 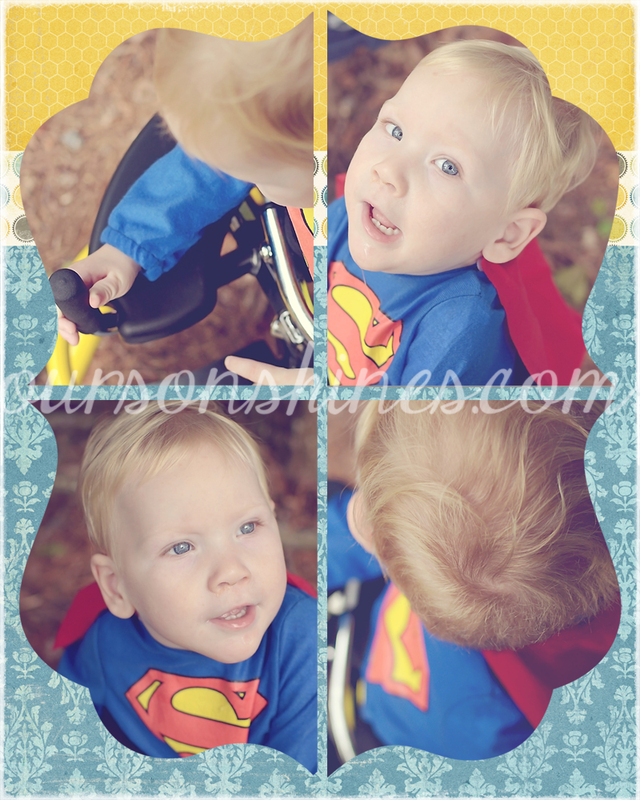 He does look pretty cute in his superman outfit. I really did want to share more about his gait trainer but I am on my second day of headache with no relief. Hope you have a great weekend. YAY! I am so glad that Carsyn finally got his gait trainer! Does he just love it and his new independence?! Thanks! He just got it yesterday so he doesn’t quite know how to use it. His therapist think it will take him awhile. I hope you feel better! Love ya sis! Love the first picture he is the happiest boy ever I swear! Thank you! Headache still is here. Argh! See you tomorrow. Love ya;ll,he has the best smile,hope you feel better!!! I’m sorry about your headache. But he looks amazing standing up like that! So exciting!! 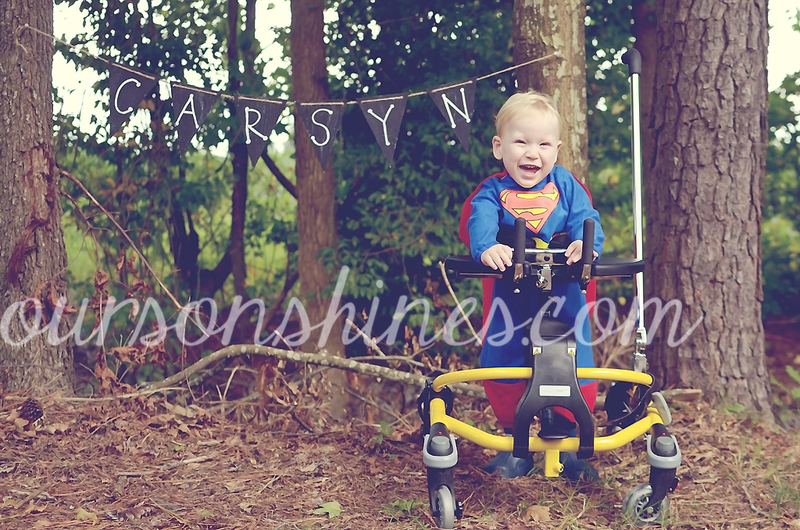 And how adorable is the Carsyn banner? These are great. I’m really happy for y’all! Yes! So cute! It is a chalkboard banner so I used it for a lot of things. Thrilled to see these photos and Carsyn’s smiling face! His smile says it all! 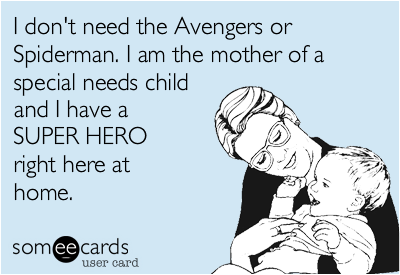 Yes, he does look handsome in his Superman costume and his “Mustang!” Be better. I hope you are feeling better. 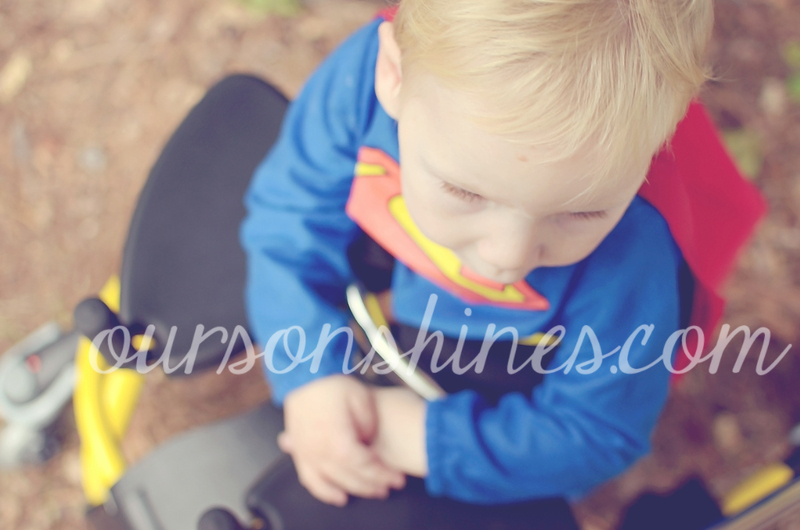 Carsyn looks super cute as Superman. He sure does make me smile. Thanks. Not feeling better quite yet but I think I am on my way to feeling better. Feel better, I hate headaches! Thanks. It was a bad couple of days. Your pictures are amazing! If I lived near you I would set up an appointment in a heartbeat! I wish you lived close because I would love to take them for you. He makes the perfect super hero! Love these shots! I am so excited that he got his gait trainer. It looks great!! I’m hoping he takes off walking in no time. It’s for sure LOTs of hard work. You can do it C!!! Look at him in that top picture! Biggest smile ever. Good luck with the next part and hope you get some relief!